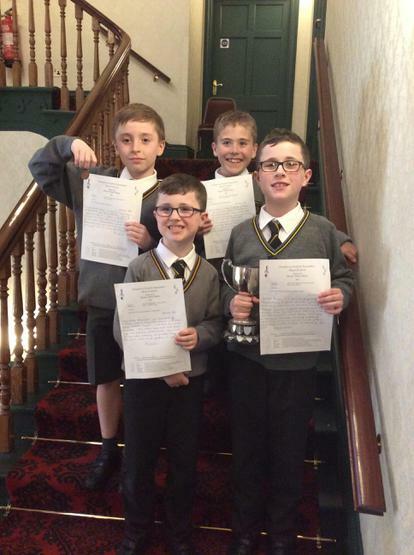 Alfie Speer, Euan Wilson, Jake Johnston and Alexander Wilson represented King’s Park Primary School in the 11 years and under brass solo section at Portadown Music Festival. Euan won first prize for his trumpet solo and Alfie was awarded third prize for his trumpet solo. All 4 boys played very well and were a real credit to the school!